Explanation: Birds don't fly this high. Airplanes don't go this fast. The Statue of Liberty weighs less. No species other than human can even comprehend what is going on, nor could any human just a millennium ago. 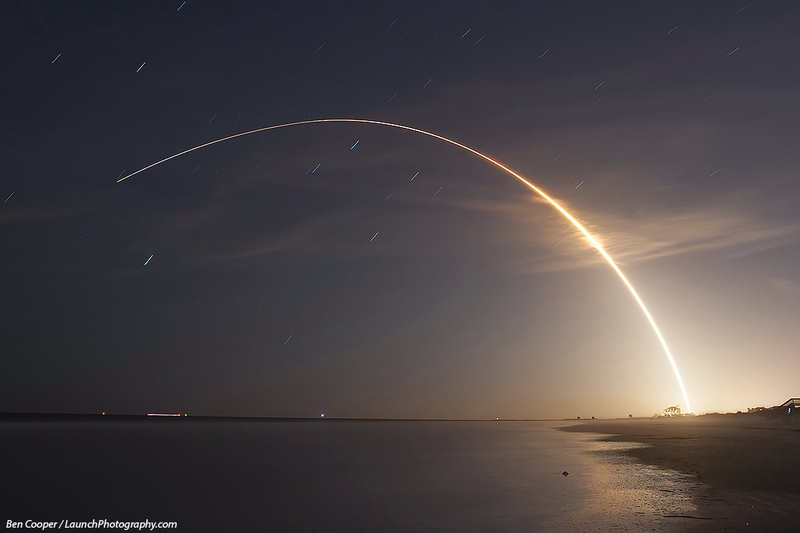 The launch of a rocket bound for space is an event that inspires awe and challenges description. Pictured above, an Atlas V rocket lifts off carrying NASA's Magnetospheric Multiscale Mission into Earth orbit 10 days ago to study the workings of the magnetosphere that surrounds and protects the Earth. From a standing start, the 300,000 kilogram rocket ship left to circle the Earth where the outside air is too thin to breathe. Rockets bound for space are now launched from somewhere on Earth about once a week.